Arsenal will bid to go top of the WSL still with a game in hand to spare when they travel to Vicky Jepson’s Liverpool, who currently sit in 8th place. The Gunners will be heavy favourites for the game and are boosted by the return of key players from long term injuries. A win would give Montemurro’s side a 1 point advantage over Manchester City with a game in hand. Next weekend they travel to Birmingham, which will be considered a far more likely banana skin. But they cannot afford to take anything for granted at Prenton Park on Sunday. Liverpool played well away at Manchester City in the FA Cup last weekend, despite falling to a 3-0 defeat. The Reds played striker Courtney Sweetman-Kirk out wide, with the pace of Rinsola Babajide through the middle, who caused City’s defence problems. The Gunners beat Bristol City 4-0 at home last week and showed some signs of recapturing their early season form in the second half. 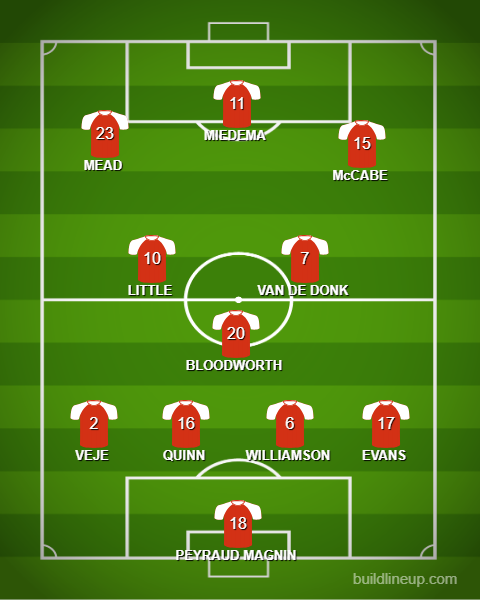 With Dan Carter, Jess Samuelsson and Viki Schnaderbeck back from long term injuries, the Arsenal substitutes bench is not quite as roomy as it has been. 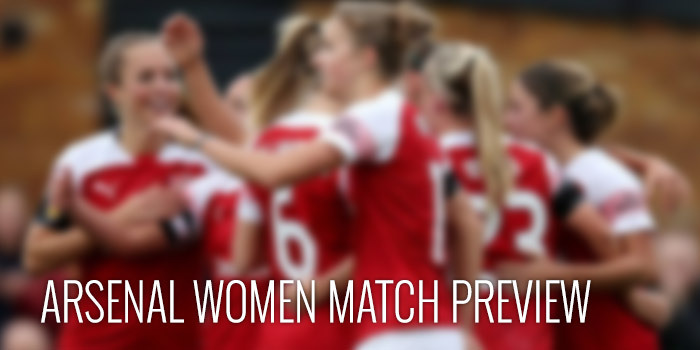 With no other fixtures at the top of the WSL this weekend, all eyes will be on Arsenal to hold their nerve and keep control of the title race. Arsenal welcome back Jess Samuelsson (foot), Dan Carter (knee) and Viki Schnaderbeck (knee) from long term injuries, the latter will look to get some minutes from the bench on Sunday- her first in an Arsenal jersey. Emma Mitchell and Lia Wälti are still out with injuries. Jordan Nobbs (knee) is out until September, but Tabea Kemme is pushing for a squad space after her own knee injury issues. Youngsters Melissa Filis and Ruby Grant are on international duty with the England U-17s and will not be available. Arsenal thrashed Liverpool 5-0 on the opening day of the season at Meadow Park with a Miedema hat trick and goals from Scottish duo Kim Little and Lisa Evans back in September. Last February, Montemurro’s side travelled to Liverpool’s former home in Widnes and won 3-0 thanks to goals from Miedema, Bloodworth (neé Janssen) and Lisa Evans. Vivianne Miedema will undoubtedly be voted player of the season for Arsenal and probably for the division too, but there are a band of unsung heroes progressing the ball up the pitch to the Dutch striker. Few do more to get Arsenal into dangerous areas than Lisa Evans, a player that has absolutely taken to Joe Montemurro’s ideals. A rough map of Arsenal’s most typical ball progressions would see Williamson feeding Evans on the right. Lisa has always been a winger capable of bursting to the by-line and, as you’ll see from the highlights video of the reverse fixture back in September, her pull-backs are a rich source of Arsenal goals. But the Scot also has the intelligence to take up spaces slightly in-field in the half spaces. The match takes place at Tranmere Rovers’ Prenton Park ground on Sunday at 1230pm. Tickets are available on the gate at £5 adults and £2.50 concessions. The match is also being screened live on BT Sport 1 in the UK. We’ll have exclusive player reaction on the site on Sunday afternoon, as well as our usual Weekly Round-Up on Monday. The next edition of the Arsenal Women Arsecast will also be recorded and released next week, prior to the Birmingham City game. If Arsenal Women perform well on Sunday, they should beat Liverpool, again. So, come on Arsenal Women! With Carter back our striking arsenal just got stronger…We must win the league and put city in their rightful place which incidentally is below us!